Twitter is a social network and real-time communication service launched in 2006 and used by millions of people and organizations to quickly share and discover information. The word Twitter comes from the frequent chirping sound made by birds, hence the bird used in the Twitter logo. Users can access the site via the web and mobile devices to exchange frequent bite-size updates of information called ‘tweets’ which are messages of up to 140 characters long that anyone can send or read. These messages or tweets are public by default and visible to all those who are following the tweeter. Twitter allows you to follow other users you are interested in so that you’ll see their updates on your home page, which is an aggregate feed of all the accounts you’re following. Users share these tweets which are micro-bits of information that can contain things like photos, videos, quotes, article links and more. Each tweet can also have replies from other people creating real-time conversations around hot topics, breaking news and interesting new content. Twitter was able to disrupt traditional point-to-point messaging systems like email by providing this one-to-many interface for rapid content delivery and search. But Twitter has evolved from more than just a real-time communication tool into one of the world’s leading sources of social discovery and newsworthy events. This open networking environment has also led to an entire ecosystem built around the Twitter platform coined the ‘Twitterverse’ where creative people, designers, marketers and businesses can flourish together. Twitter originally started off as a Podcasting company called Odeo before pivoting into the microblogging service we know and love today. If it wasn’t for Apple releasing podcasts via iTunes and scaring Odeo out the water, we might of never got Twitter! The key to navigating Twitter is to master the lingo. The Twitterverse has it’s own set of vocabulary you’ll be sure to see flying around in tweets. A standard message on Twitter containing 140 characters or less. A tweet that has been reshared to all of a users’ followers. The # symbol is used to tag keywords or topics in a tweet to make it easily identifiable for search purposes. Tweets can include replies and mentions of other users by preceding their usernames with the @ sign. This designates your username and accompanying URL at http://twitter.com/handle. The stream of tweets on your Twitter homepage comprised of all the accounts you follow. Twitter provides a mechanism to list users you follow into groups or curated lists showing tweets of all the users in the list. Also called a DM, this represents Twitter’s direct messaging system for private communication amongst users. First off pick a user name for your Twitter ‘handle.’ Make it short and sweet and preferably identifiable to you or your business. Refrain from picking any silly names unless you’re starting a parody account that is. Next you’ll want to add your bio information with a little bit about who you are and your interests to help people get to know more about you and whether they’d like to follow you. You can also include your location, website link and an avatar image which is a picture that will show up on your profile and next to all your tweets. Add some styling to your page with a neat background image, cover photo and theme colors. Also, you can check out 12 of the best Twitter tutorials of all-time! follow-after you sign up for Twitter you’ll be given some suggestions of popular users to follow. This is the first step in using Twitter as a discovery engine so start following interesting new people and sources. Some of the users you follow may eventually end up following you back too. At first Twitter doesn't know much about you so find familiar friends and brands to follow too, and overtime Twitter will make better suggestions to suite you. You can always unfollow people too that seem to be clogging up you stream with useless posts. How to post a tweet You can post tweets of up to 140 characters. These tweets can also have media embedded like photos, videos or rich snippets from articles. Media can make your tweets more engaging, where photos generally get twice the engagement compared to regular text posts. Twitter also has a url shortener (t.co) automatically applied to shared links. retweetA retweet is the action of sharing another tweet again. People and businesses post messages on Twitter in hopes of getting as many retweets as possible to reach out to new audiences. Retweets represent 78% of user engagement with brands, with the other 22% coming from replies. Direct messages Twitter provides a great way to connect with other users and monitor your interactions and mentions. You can also communicate privately with others users via Direct Messages if the other person follows you. Twitter also provides you suggestions on who to follow and other options to find friends. Discover See what’s happening right now tailored just for you. Use the Discover tab to keep up with tweets, activity, and another source for new people to follow, find friends and browse through interesting categories like music, sports, entertainment, humor, technology and more. twitter mobileTwitter’s mobile website allows you to have a consistent experience using Twitter on any smartphone or tablet device. hootsuiteThere a ton of great apps and tools to enhance you Twitter experience and help manage potentially multiple profiles. These tools range from Twitter clients, scheduling, analytic tools, finding people to follow, bulk follow/unfollow features, automated tasks and more. 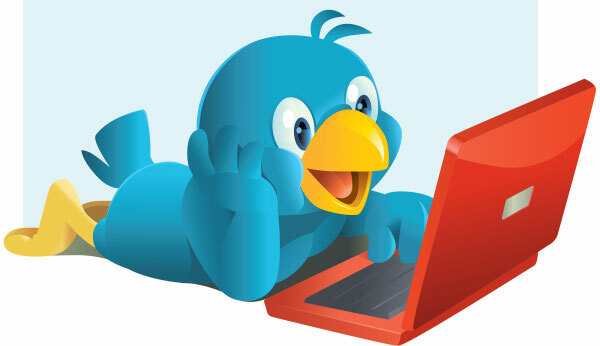 Twitter is an unbelievable resource for businesses to grow their audiences, increase traffic and generate more leads. With over 400 million tweets a day and 200 million active users, people tune into Twitter to bring them closer to the things they care about. You should look to have at least a personal profile and a separate one for your business too! Having a great business profile gives your brand credibility on social media. Twitter buttons to share links and follow buttons to build their reach. And you can make your website or blog even more viral on Twitter by adding Twitter Cards to your site that make each tweet from your content show rich media like photos, galleries, summaries, videos, apps and more. 10. So What is Twitter Really About? Twitter is basically the best way to discover new content and keep up with your favorite topics of interest and people. Twitter lets you exchange ideas and information instantaneously bringing folks together from all across the globe unlike ever before. Some of us use Twitter just to listen, others to keep in touch with friends. Tennis pro Serena Williams uses Twitter to follow updates from her favorite band Green Day. Musician Snoop Dog comically likes to wake up in the morning with baking updates from Martha Stewart’s latest recipes. ||ੴ||ਇੱਕ ਓਅੰਕਾਰ Satnam Shri Waheguru Ji A Web Blog about Product Review, Blogging Tips, Tech Reviews: What is Twitter ?